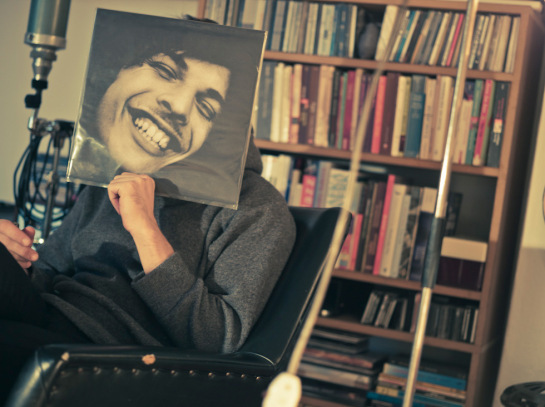 We have the honour to talk with one of those musicians we especially love in ROCKAST. Because he’s not like the others. He’s not a rock star, but creates more emotion than most of them. 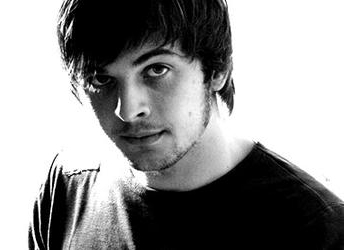 German pianist Nils Frahm is one of those few artists extremely inspiring and talented who is always working in different projects and record production. He broke his thumb in an accident, but that didn’t mean he was going to rest as the doctor suggested. He kept going playing piano with just 9 fingers, and made a collection of beautiful peaceful songs, in a record he gave away. To his surprise, this no-record called Screws was inmediately loved by fans and critics. It’s a pleasure for us to talk with an outstanding artist in and out of the stage. We catch the musician on his way to Brussels to perform at the Ancienne Belgique. Hi Nils, How are you? What project are you involved with at the moment? Or what do you have in mind to do in short term? Well, lot of things. Lot of things. I’m working on a live album right now, which will hopefully come out this year. I’m also working on collaborations, with the German singer Anne Müller, and I’m also working on my new solo album. I’ve seen you’ve recently produced Sara Neufeld (Arcade Fire) debut album. Yeah that was fun. She’s on tour now in Germany and Europe tour. She’s fantastic.. I’m working in the production of a Swedish songwriter doing her debut on Bella Union, and also, I’m doing the production for Sleeping Dog, a Belgium singer songwriter, and some more. These days I’m finishing the rework of Juno 12’’. I’m also going to US and Canada and some Europe dates now. You’re working as producer quite often lately. But, in this area, what do you think we are missing in music nowadays? What do you like to try that you don’t see when listening music? I don’t think there’s so much music missing. I mean, there’s still so much music that I love and I admire. But usually that’s music from the past. I observe myself listening to a lot of old music. Maybe it has something to do with… I don’t know, honesty? 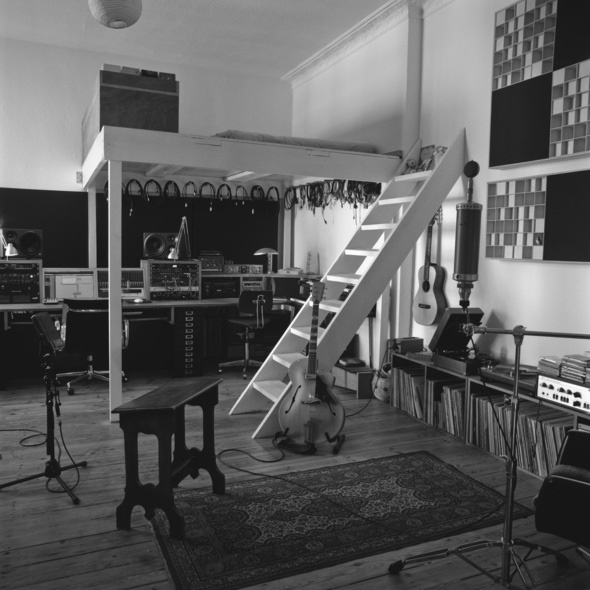 Or people who record good sounding records, like recorded in a session, which is always very pleasure to listen to. I feel like this old skills of crafting a record has slowly disappeared because of the digitalization of music production. And people get used to scratch on their work from the computer, editing all the failures now, and edit way too much of the material and in the end things often become kind of plain. To be honest, I focus so much on the past right now. I’m listening to old classical records, jazz records, and all kind of crazy music. For me is important that I feel something really human and quite unique in somebody’s music. I think some of the bedroom recordings made these days are good and some are just not. Music in the past was usually produced in high quality studios done by really great technicians and producers. We should try to keep up the standard of music production and not let it go down. I feel like since I’m aiming for certain kind of perfection, I’m at the right spot to help people catching their vision of what they want to do, and I learn so much about all the recording techniques and I’m happy to help. I’d like to talk about the noise possibilities. I’ve heard somewhere, that the most beautiful sound is the silence. So that’s why Screws sounds so minimalist? That’s what they said about ECM master chief, “the most beautiful sound next to silence”, is Manfred Eicher music.(laughs). It is kind of a celebration of the silence. And the celebration of the countless and quietness. My expertise is that we try to push the loudness, there are many loud records out there, like Metallica’s, I don’t remember the title of the record. I feel like we’re pushing the possibilities of noise to a degree when all is possible and you can add anything to it. We have such a noisy and aggressive music out there that I feel that the most radical statement you can do is to make something really calm and quiet. Because then people wonder why is so calm, why is so quiet, maybe at least became impressed of people’s hearts and ears is actually dramatically quiet and dramatically calm. But without being just ambient music. I don’t want to see my music as something you only listen to in a background. I also want to tell a story, or read a poem in a music way. I feel like people can focus on the content of music, and the micro-universe of little detail sounds, tiny details and noise sounds, since I take care of all this little sounds like noise and mechanical sounds as a piano, and nothing is totally by accident. I really sculpture these sounds. I feel like there’s still enough musical information, but it’s on the edge. It’s so little, especially on Screws. There are so little efforts, so little noise, so little volume, so little everything, that is almost disappearing of the whole thing. That’s why I was curious about how little can you do and still feel like is music. Also Screws was supposed to be a gift for your fans, but it has been very well received. Did you expect that? No, totally not. I felt that it was so little music like I said, that I didn’t want to charge people for it. But when you give somebody, like you go somewhere and pick a tiny flower, and you give it to somebody, people will appreciate the gift, take the little flower and treat it like a gift, they won’t just throw it away. If people would have bought, there certainly would have been people who would have said, “well compared to the last record this is not so good because bla blab bla, it’s so minimalist, I like Felts better because there’s so much going on…” I can already hear the criticism. But it sounds good for me this way. For me it was also a gift to myself because it kept me going in the time I broke my thumb, and I felt like maybe I could never really play piano again. I couldn’t play more because of my broken finger. But it was giving me all my hope and passion for music back. It gave me so much that I already feel like I got everything I wanted from this record, so the only thing I could do was to share this with my friends. It was a very spontaneous idea. I didn’t think of any critics of it because it wasn’t my next release really. I made it everything for free so people can’t really criticize like it’s a new album because… c’mon! I’m just improvising with my fingers but I feel like it’s my favourite record that I’ve ever done. Momentum of quietness and calmness and serenity. But also harmless. I heard something new when I play it, and I probably wouldn’t experience if I didn’t have the accident. So now I know that I can play that way. I’m very grateful. It’s all mono, one microphone, piano, and tape machine. That’s it. It’s so efficient and economical in that sense. I think your music is very visual, as the note that follows the previous note seems like the only one in the world that could go there, pretty much like books, Do you think your music is more open to the listener imagination that pop music? It might be. It’s visually inspiringly for sure. Lot of people ask me if I’m interesting in making music for films. I’m already doing this. But just without the movie. The movie people see, is what they see in their heads. They’re kind of directing their own movie at the moment they’re listening to my music. I think this is the potential my music has. It creates pictures, is like reading a book. My music is more like reading a book than watching a movie. Is up to the imagination of the listener what they feel, see or sense. It’s the highest art to inspire certain kind of pictures or feelings. I try to have as much control as possible. I can write a piece and I know that people will think of water. I can write a piece and I know that people will think of love. It’s incredible that you can kind of connect certain images or reactions to the music. So how is the creative process? Are you very perfectionist or do you prefer to improvise? Do you ever think about the listener when composing music? I do actually. I wouldn’t do music without people listening. It’s not that I only do this for myself, of course. I love playing music for myself too, but when I work on an album I want it to be something that people love. That doesn’t mean that I want to do it as flat as possible so everybody loves it. I consider that my music will be listened for many people, and I want it to be very good. That gives me a lot of motivation. The more pressure I have, and the more people listening to my music, I feel like, the better my music is. Playing live, for example. I know that the people are there. The concert wouldn’t be the same without the people. They give me certain feedback. They create a certain atmosphere in the room, and it comes back to me onstage. There’s a feedback between the audience and myself. The audience is a very big part of my music, and very big part of my motivation. I read that you like to work pretty late on the day. So the pianist life demands to sacrify somehow, the social life? We’ve seen your name in lots of modern music pages, or even indie music pages, and you’re playing Primavera Sound next week. Why do you think these modern music pages turn to your music or Olafur? Because of the feeling that we’re doing something pretty radical and we’re not compromising ourselves. Sounds stupid when I say that, but this is what other artists do. They do what they need to do. I don’t try to do this or that to be loved. I just want to share something really honest, something which confirms me and my vision is that I can change the world, and people’s attitude with my music. I think people see that this quite radical and unique, and musicians don’t try to create some kind of pop phenomenon or whatever. They trust themselves and play classical instruments, and they still attract a young audience, and that keeps me going. And when I’m playing at a festival I’m never fitting in. Primavera is a rock indie festival, and I’m playing piano. And when I play at a jazz festival, I’m not the jazz guy, and the people see it like something different and interesting. Same happens in classical contexts. When people play Mozart and I play my own music. When I play for young people is always odd, but at the end they’re really surprised for what they’ve experienced. And then they go on their blogs and don’t know how to labelled me. I feel very free. I could make an electronic album next. I could also play with a band. I could play piano and synthesizers shows, or classical shows. Even if I decided to be a songwriter. Have you ever thought of adding voice to your compositions? Have you ever been offered that possibility? What do you think about it? Yeah I’m also working on some choir ideas right now. Nothing myself, I don’t really like myself singing. But more in a way of, turning voices into sound, and sounds into voices. Last time I saw you in concert was in Madrid last summer, in a free concert were the sponsor was also giving beer for free. I remember you invited a person from the crowd to play with you, and it was amazing, everyone was blown away. Do you always invite a person from the crowd to improvise with you? No no no. It’s quite a long time since I don’t do it. Just if I feel comfortable with it. It depends. I can sense what is going on in the room, and if people need something different. It’s not only about playing piano, but make it a wonderful show. In the end is about the whole evening, and what the people think of it. People think it’s kind of brave to do so. Because it could be very horrible. But it’s never horrible. The intention of inviting somebody is wonderful and a loving thing. People might not really listen to the wrong notes we’re hitting. They just hear it with an open heart, because they think it’s a wonderful moment, it’s generous and it’s brave. These are all emotions that we as human beings feel and they’re conscious about love and peace, and they will go home and will feel better. Often. Often. I’m never scared of the future. No scared of the present or the past. But I’m a very melancholic person too and sometimes I get very frustrated about the world out there. Sometimes I shut everything down and listen to myself. I think melancholic is the happy and artistic side if being depressed. Without the art I wouldn’t be happy. The piano is like medication for me.